How much is Stassi Schroeder Worth? 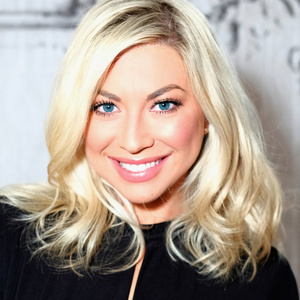 Stassi Schroeder net worth: Stassi Schroeder is a New Orleans born model, writer and reality television star who has a net worth of $300,000. Stassi Schroeder is probably most famous for being one of the new cast members of the Bravo reality series Vanderpump Rules. Vanderpump Rules follows the lives of six waiters at Los Angeles restaurant SUR. As of December 2013, Vanderpump Rules has aired two seasons and roughly 20 episodes. SUR is owned by fellow reality starlet Lisa Vanderpump. Before becoming a waitress and appearing on Vanderpump Rules, Stassi Schroeder competed on the adventure show The Amazing race in 2005. She finished seventh on the show. Stassi was born Nastassia Bianca Schroeder and is 5 foot 7 inches tall. Her father, Mark Schroeder is an architect in New Orleans. Her childhood home was destroyed by Hurricane Katrina during which time the family had to move in with another family for several months. Stassi has been acting since the age 11 and was president of her high school drama club. Stassi attended Loyola Marymount University where she studied English and writing. In addition to acting and working at SUR, Stassi is an aspiring fashion writer. She periodically contributes articles for the digital magazine "The Divine Addiction" which is owned and operated by Lisa Vanderpump's daughter Pandora. 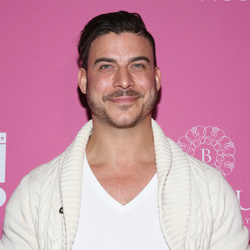 Stassi currently has an on-again off-again relationship with a boyfriend and fellow cast mate, Jax Taylor. Stassi has also been linked to a radio host named Patrick who works for Sirius/XM. This new relationship has been equally difficult because Patrick lives in New York. As of November 2013, Stassi and Patrick are still trying to figure out what to do with their long distance relationship. On the show, Stassi is not a fan of fellow server Scheana Marie who she often calls a home wrecker. This is sure to make for some interesting reality TV!